If you wish you saw a younger version of your face in the mirror, you might find dermal fillers to be the perfect solution. 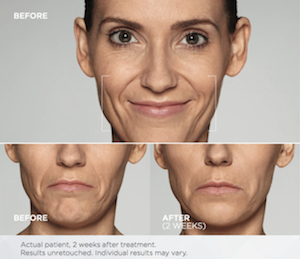 MD Advanced Skincare in Houston, Texas, offers Botox®, Juvéderm®, and Restylane® to fill in every crease and wrinkle that makes your face look older than it has to. Make an appointment at the luxury medspa using the online scheduler or by calling the front desk. Over the years, our repeated facial muscle contractions form lines and our skin naturally loses volume. Dermal fillers are injectable substances designed to either reduce wrinkles or plump and fill hollows on your face. They deliver a smoother, more youthful complexion without surgery. The fillers at MD Advanced Skincare are made of one of two substances: purified toxins or hyaluronic acid. Toxins: Botox® is made of purified botulinum toxin. The toxin temporarily paralyzes the facial nerves and muscles that contribute to deep wrinkles. Hyaluronic Acid: Hyaluronic acid is a naturally occurring acid found in your joints and cartilage, and around your eyes. 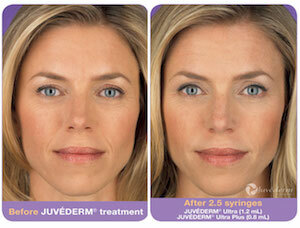 Juvéderm® and Restylane® use hyaluronic acid to fill in your facial features. What fillers do you offer? First, your physician evaluates your face and marks the treatment area. Then, they use an antibacterial cleanser and a pain-numbing agent to prepare the injection site. Next, your doctor inserts the needle under the skin and injects the filler, massaging it into your skin to distribute it evenly. The entire treatment process takes anywhere from 15 minutes to an hour. What’s the best place to get dermal fillers? Dermal fillers are medical treatments and should only be administered by well-trained and highly experienced professionals. When performed by unskilled hands, dermal fillers can cause nerve or blood vessel damage with serious repercussions. Therefore, the best place to get dermal fillers is in a plastic surgeon’s office or at a medical spa, under the supervision of a physician with the appropriate training and expertise. The specialists at MD Advanced Skincare provide safe, predictable results under their careful hands. They follow the proper protocol and only use dermal fillers for their approved indications. If you’d like to learn more about your dermal filler options, call or schedule an appointment at the Houston, Texas, luxury medspa.